I borrowed that line from a favorite holiday song of mine. can you guess it? perhaps I’ll clue you in later. it’s Christmas Eve and I just found myself a few minutes of downtime and thought I’d check in on the old blog. it’s not looking to be a white Christmas around here, instead we’ve had about a dozen days without the sun. and precipitation in the form of yucky rain for most of those days. this weather makes it tough to get into any sort of spirit, let alone Christmas spirit. but alas, the holidays are upon us, whether our spirits are ready or not. despite the depressing scene outside, Fielder and I are making things as cozy and cheerful as possible indoors. 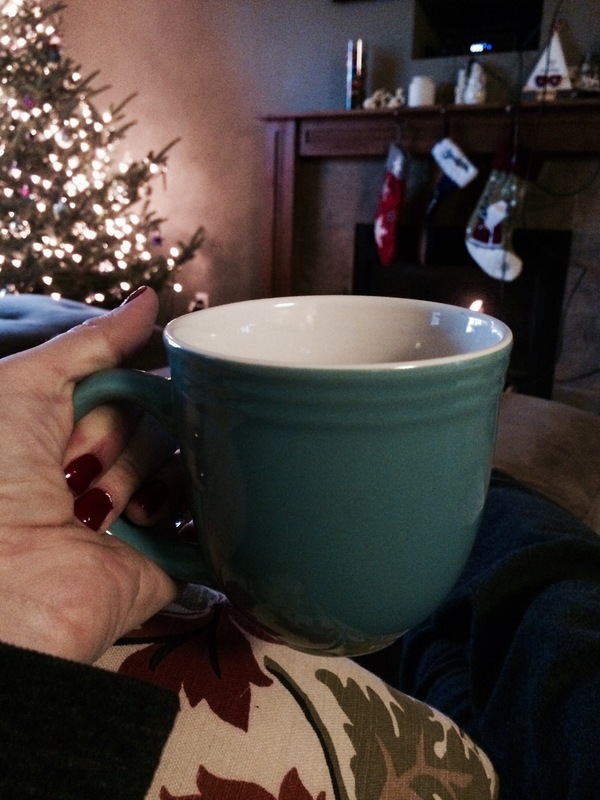 a cup of sugar cookie sleigh ride, a lit fireplace, and a fresh holiday (diy) manicure are making my morning bright. 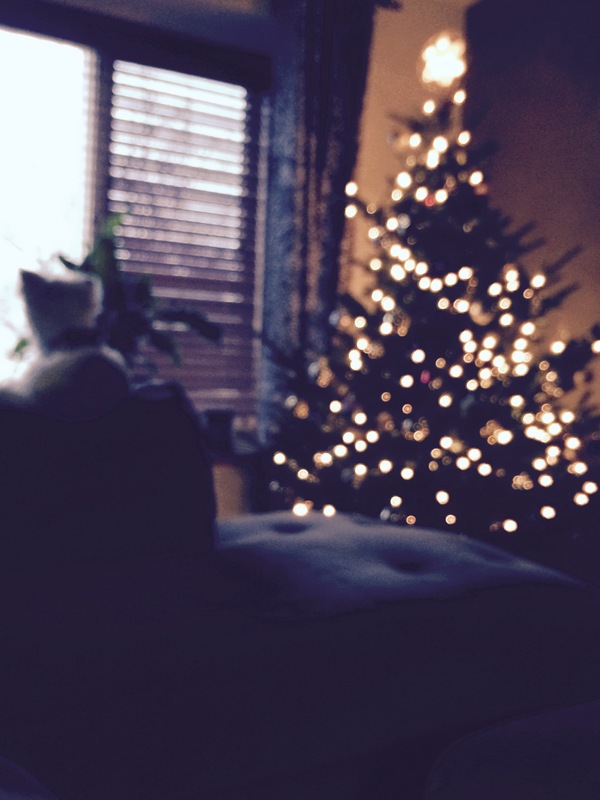 and there’s something about having the Christmas tree all lit up early in the morning that just feels… nice. I’m loving the fact that today is the first of five days off for me. this is the first time in many years that we haven’t had to arrange holiday plans around my work schedule and that feels pretty great. I’m also feeling pretty lucky that I don’t have too much to do to prepare for the holidays. a few easy dishes to pass and a small handful of presents, but other than that, we pretty much just have to show up! I realize this is rare, and when we have kids, the holidays will become all the more chaotic, but for now I’m embracing the calmness. it feels like this is the way the holidays are supposed to be. whatever holiday it is that you celebrate, I hope it’s spent with the ones you love most.